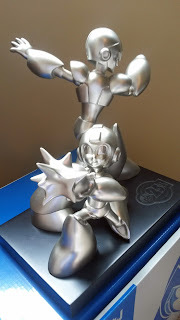 "A little more disappointing overall compared to the previous Capcom Store Classic Megaman statue? Yeah, it still seems bland in comparison. Overall, the craftsmanship is still nice. Rock's nose bothered me more in the pictures from Unity, but it really just depends on the angle you are looking at it from. Same goes for those complaints from people about X's waist being so thin. I wish a little more care would have been taken with the base, as it just seems...unfinished. 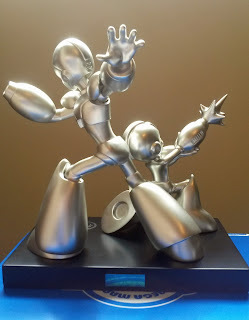 But hey, it works as a nice wannabe bowling trophy for beating all those games over the last 25 years, right? And it doubles as a bookend well, too. X's hand can help hold R20+5 and all those UDON artbooks nice and straight on your bookshelf!" 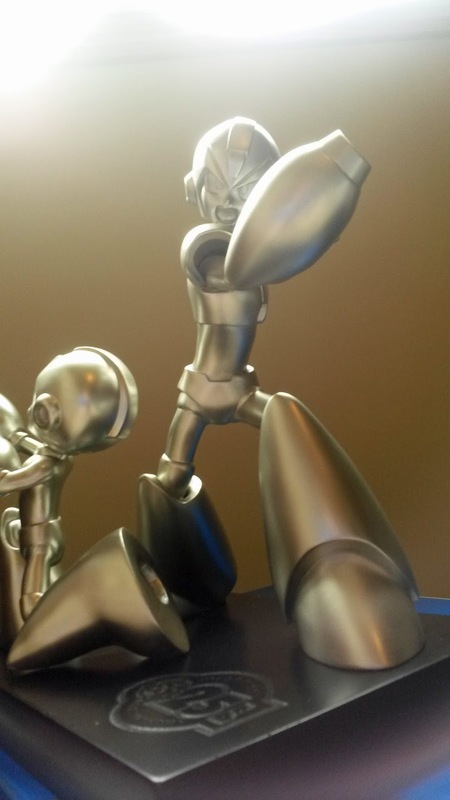 The statue looks awful in my opinion, the proportions are way off. 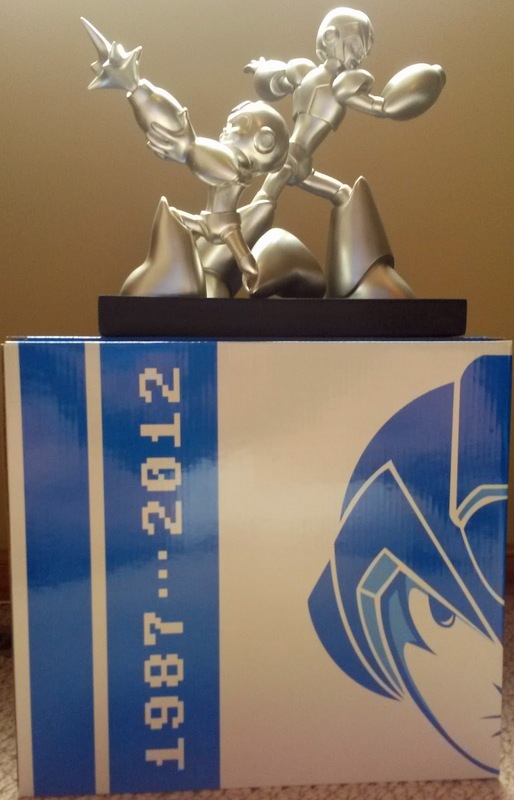 The box is cool. I've got mine: number 831. Anyone else have a neat number? 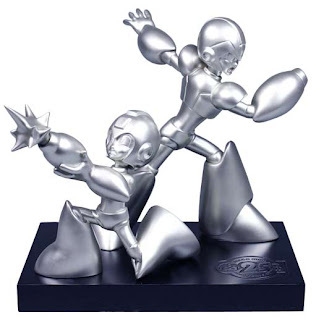 Please you guys let people know if the spares hit the Capcom store again, like with the last statue. I want this but wasn't able to budget it at the time. There are still spares. Check the store. Well I mean after they supposedly sell out, in like a month or so from now. It's what happened last time. I bought one just for the box. Just kidding. I didn't buy one at all. Though I do have one gripe. I ordered this thing very near to the time pre-orders began. I mean very near. I'm assuming the numbers of the statues don't correspond to the order in which the orders were placed this time around as I received #583. 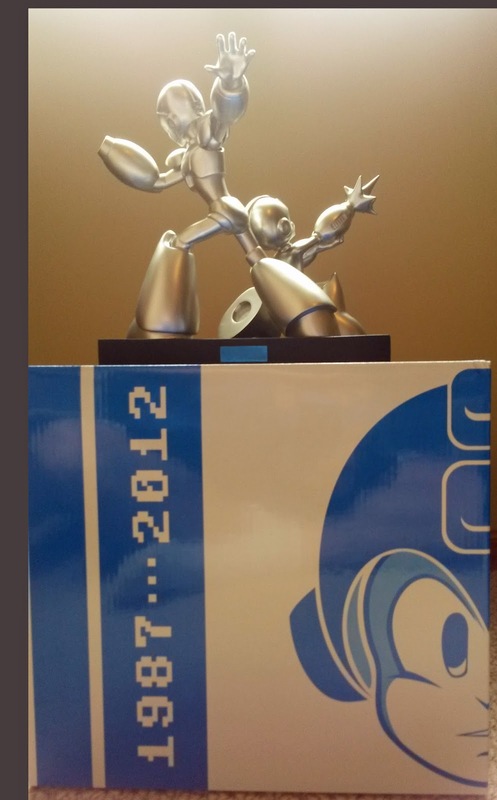 I doubt half of the statues were claimed in the time frame I spoke of. Makes me wonder. 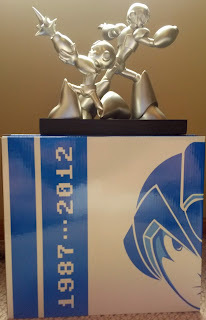 Although I did see a couple numbers on the box it was shipped in, and on the order sticker. "90" and "38", respectively. Did any of those number placements match what was on the statue, anyone? Nope. The sticker had 42 or something on mine, and I got #552. I don't think that number would have anything to do with the statue's number. Had much better luck with low numbering on the previous statue, although I guess having a 25th collectable with only 5's and a 2 is OK. But I doubt they would have shipped statues numbered by order placement received anyhow, nor do I find something like that absolutely necessary. No different from numbered collectable giveaways at sporting events; it's all the luck of the draw, and I'm fine with that. My box had #10 got #10.